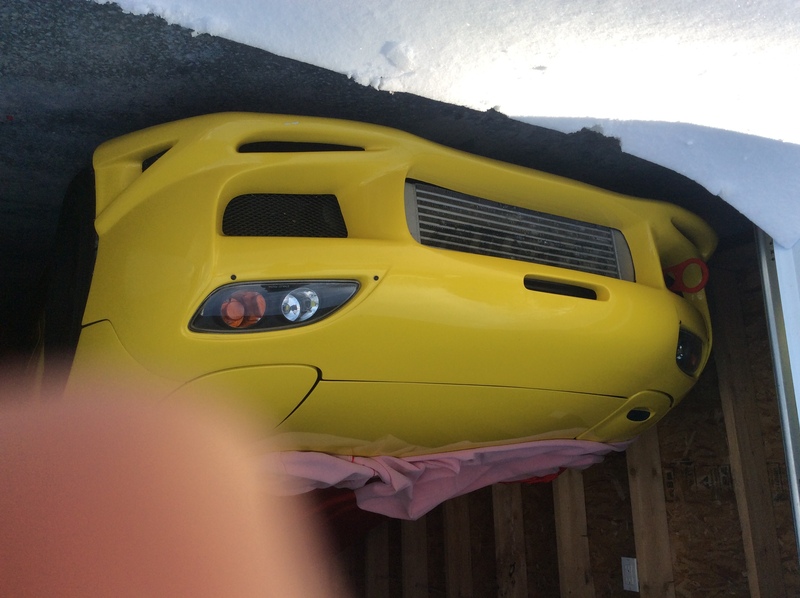 FD3S: Feed Lens Covers for Feed Front Bumper. Who's interested? I would just like to get an idea of who might be interested in a pair of replica feed lens covers for their feed front bumpers? The investment cost is hefty, so I would just like to get an idea. Just put your name on the list. Preferably if you already have a front bumper or looking to get a front bumper soon. No deposit needed on this one. Price will be around $250-300 for the pair. do you have a feed front bumper in stock right now ken? Not at the moment. Contact me and I can put you in line for one. Current wait is 8-9 weeks. Can you make this as well ? Is this still a possibility?? We're already moving forward with this. I have contracted the manufacturer to get the ball rolling. Purplish tint will remain just like the original FEED lenses. The manufacturer made us an example and it looks identical. I believe the original Feed Lenses are acrylic. Our version will be a polycarbonate (lexan), which is stronger. We're also aiming to get these hardcoated as they are very prone to scratches being so close to the road. I've probably polished my Feed lenses at least 10 times so far. Hardcoating the lenses will provide a more scratch-resistant surface. Original Feed lenses are not hardcoated. The black outer trim will be there, but we will figure out the best solution to get that look when we have some produced units in our hands. From my understanding, a member purchased original Feed lenses along with his original FEED bumper and did not receive lenses with the black outer trim. The black trim gives the lenses its unique look and also hides the 3m double-sided tape needed to install these. I am actually very surprised this was overlooked on Feed's part. Moving forward, our Feed style bumpers will come with provisions (nut serts) to allow easy mounting points without having to remove the bumper every time. These do fog up, so a periodic cleaning is needed if you desiring a pristine look. All in all, we are aiming to provide a better product than the original. *This will be sold exclusively only to those who have our bumper. (proof of purchase through us or our distributors). Expect a price around $275 for the pair. i'm out. I didn't get the bumper i was hoping for. I forgot to mention something important to take note of when customers receive these lense covers. The original FEED lense covers are not perfectly symmetrical left and right side. It is about 90% symmetrical. That is because the area this mounts on the bumper is not perfectly symmetrical left and right side. It is actually unnoticeable. The non-symmetrical lense covers will fit the non-symmetrical bumper spot on. Our lense covers will also be non-symmetrical...just like the originals. If we made them perfectly symmetrical, one side will not fit on the bumper correctly. The reason why this is is because prototypes for body kits are usually done by hand and by eye. They could've done it differently to ensure it was symmetrical, but they didn't. Anyone with the original Feed lense covers can confirm this to be true. So if you get a pair of our version and realize they are not perfectly symmetrical, please know that it was intended to be manufactured that way so they can fit Feed or our Feed style bumpers. Last edited by Matthieu; 01-27-17 at 10:15 AM. Hi! I'm ready to take the place... if someone can answer to my questions. If it's authentic FEED, it should have a stamp on the inside of the bumper. Finally i think it's a original feed ...didn't find the stamp but i had the original lenses with the purplish tint and the black outer trim.... so i'm in for the group buy. Does it come with the screws? We still have an original Feed bumper (the one we pulled a mold off of) and it did not have a FEED label on the backside. However, the bumper was purchased many years ago. They could be putting labels on their products now. 9. Domrx7.....count me in, I got original Feed lens covers on my ShineAuto Feed Bumper and it fits great, would love to get a set of these as a spare. Quick Reply: FD3S: Feed Lens Covers for Feed Front Bumper. Who's interested?